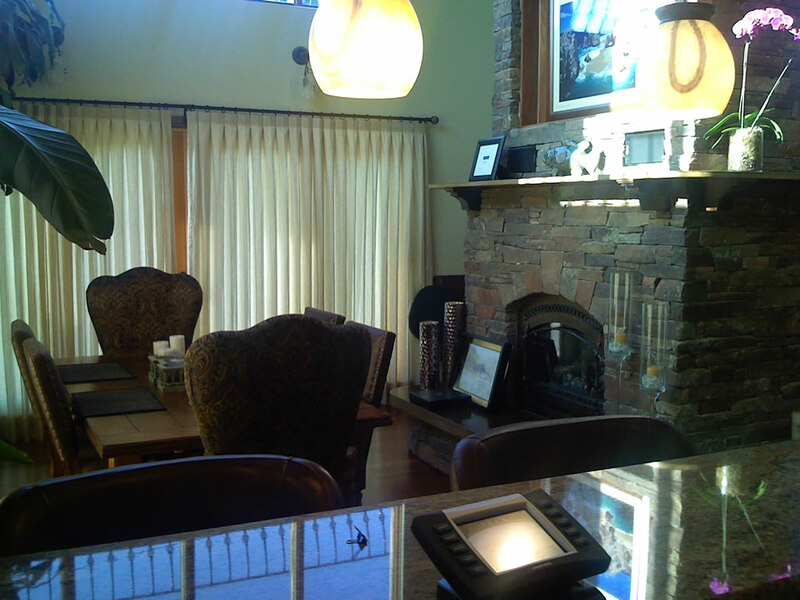 In this home we were able to do centralized multi-room audio and video and full lighting control. 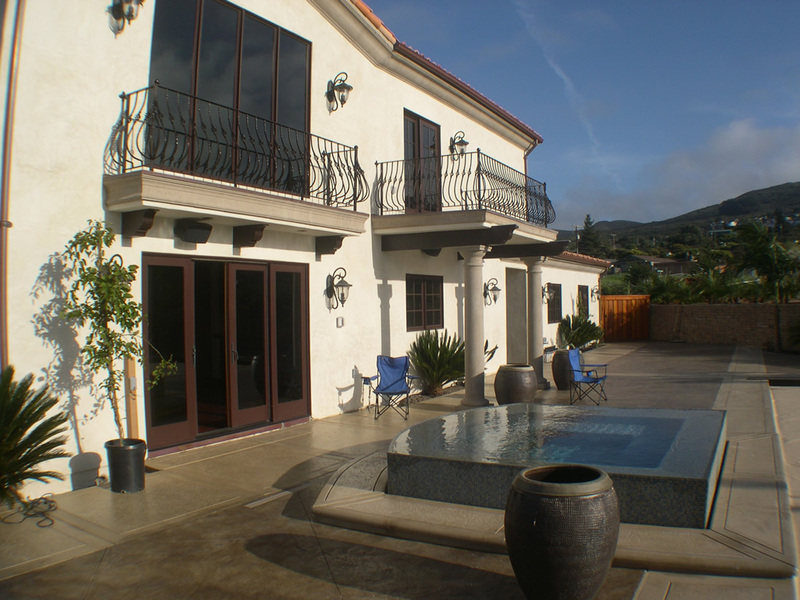 In addition we also control the fireplaces and pool/spa. 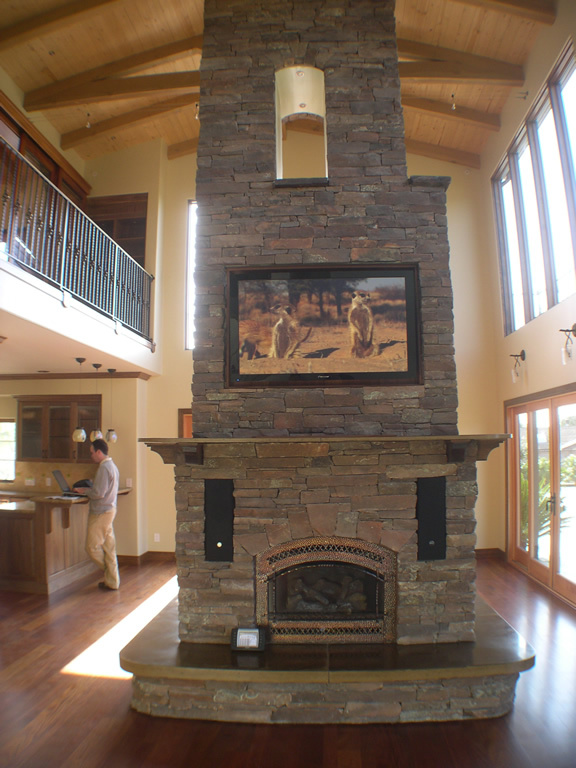 The customer was referred to us to do a multi-room audio system. When I explained that we could also distribute HD Video from the same system, removing the need for any equipment except TVs in every room, he said “YES!” He also said he wanted great sound everywhere and a simple to use system. Since he wanted performance, reliability and simplicity, I designed him a Crestron system. 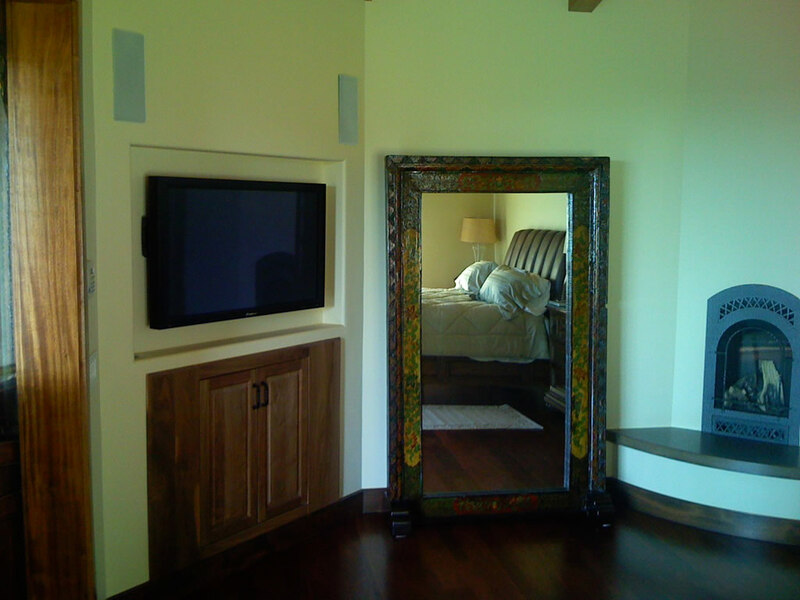 All the electronics are located in his mini-theater room and everything is distributed from there. All the speakers are PMC (Professional Monitor Co. – England) and James (SF) which provide stunning natural sound. From any wall-mounted or wireless remote touch panel he can select any source, such as either of his 2 HD DVR Satellite Receivers, his 400 disc DVD changer, CD music server, and more. As the drywall was being done, he asked if I could still do a lighting control system. The Crestron Infinet wireless network wall switches were the solution. Now he could control all of his lighting from any remote. A touch of the ‘Entertain’ button brings up all the inside and outside lights to that programmed scene. The overall sound quality is fantastic and the whole system provided him more than he expected.